Kelsey McLeland, Contingent Events Young Adult, is excited to see you next weekend at the BSA Winterfest in Gatlinburg, TN to share everything she knows about the upcoming World Jamboree. In fact, she is so excited to share her enthusiasm about the Jamboree, that she’s given us an early look at her top five reasons to attend the Jamboree. Be sure to find her and fellow CMT member Darcy Phinney at the World Scout Jamboree booth next weekend! Often times in my Scouting experience people have said “That girl has springs in her feet!” because I quite literally jump for joy when I am excited. Let me tell you… I AM JUMPING Y’ALL! 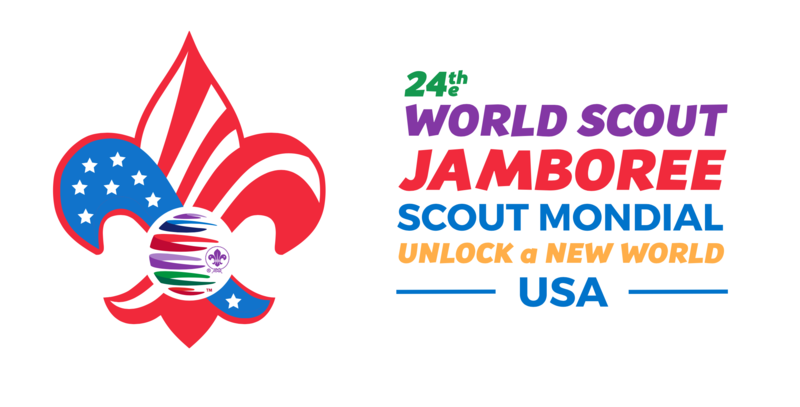 The World Scout Jamboree is being hosted by Asociación de Scouts de Mexico, Scouts Canada, and the Boy Scouts of America in 2019 IN THE UNITED STATES! 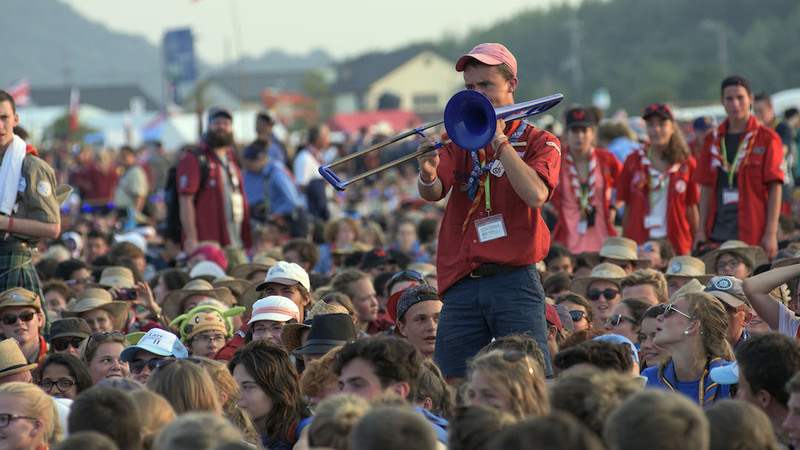 I could rant on for hours about how amazing this opportunity is to see the World Organization of the Scouting Movement (WOSM) in full speed, but instead I will give you my 5 top reasons you should attend WSJ 2019 as a member of the BSA contingent. West Virginia is a beautiful mountainous piece of east coast heaven, but more importantly, it is right in our backyard! Whether you live in North Carolina or California, the fact that this Jamboree is being hosted in our nation makes it the most accessible in years! For the first time since 1983, you can attend a World Jamboree without traveling to a different continent. Not to mention, you will welcome the world to one of our country’s national treasures; the wilderness of West Virginia! The Summit is nestled next to the 70,000 acres of the New River Gorge National River, making it a superb place to show off the natural beauty of our country. A trip across the country may seem far, but you get to see the whole world while you’re there! If not now, when? 2. A Preview of the World, Without Leaving the States! The exposure to Scouts from different countries, backgrounds, and languages will truly help our youth develop into young leaders of America. There will be National Scouting Organizations (NSOs) from all areas of the world attending this event. People normally separated by oceans will be camping on either side of you, just waiting to share a dutch oven recipe or game to play around the campfire. You will have the opportunity to meet, go on adventures, and learn about different cultures easier than ever before! When else will you be able to learn about the world while flying through the forest canopy or riding a stand-up paddleboard? Also, you can learn how our global brothers and sisters in Scouting execute their programs, units, and trainings to support the overall mission of WOSM! The World Jamboree will definitely expand your knowledge of the Scouting movement. At Bechtel Summit you will have to manage your time very effectively because there are SO many activities to participate in! 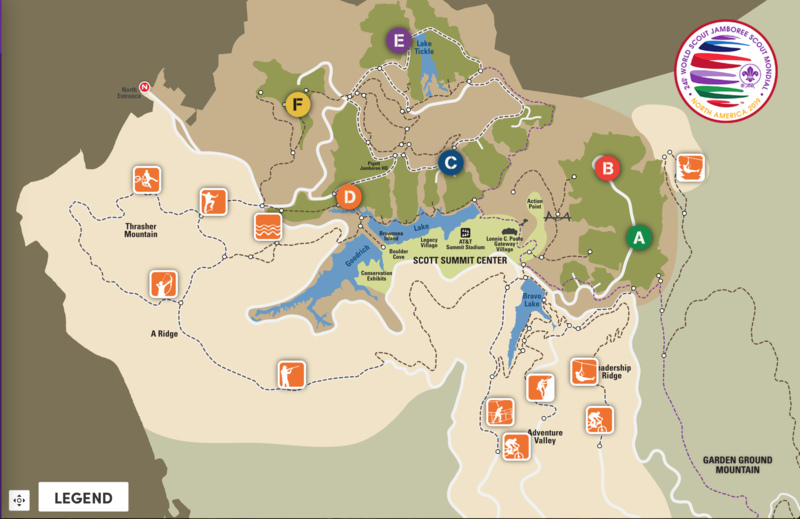 You will be able to take classic scouting activities, such as water sports, mountain biking, and rock climbing, to the next level with the state-of-the-art Summit facilities. If you’re ready for that “next level experience”, I urge you to try some new activities like the Zip line, BMX tracks, and skateboarding. The possibilities are endless! With so many options, the question isn’t what can you do, but rather, what adventure will you embark upon? Click the map explore the Host Team’s “Adventure Map” of Summit High Adventure Programs. The fellowship of Scouting will take on a new meaning at the World Jamboree. Although each Jamboree is unique, the one thing that has never changed since Baden-Powell’s first 1920 Jamboree is the friendships that are made. The Summit will be filled with tens of thousands of friendly scouts. On August 2nd, you may have to say goodbye and return home, but this will truly be the START of a lifetime of global relationships! So I would like to personally invite you to Come See The World with us!